Why did you launch an online food ordering start-up only when there are many other hot segments as well attracting VC money? Pallavi: Our objectives of launching an online food ordering start-up were three-fold. First, online food ordering is here to stay for long. People cannot do without at least three meals a day and given that more than 90 per cent food orders in India are still being made over a phone call, there’s a huge scope for eCommerce in this area. Second, I have seen restaurant businesses grow and mature in front of me and have firsthand knowledge of running the same in the form of Sodexo in India. We also have F&B business experts backing the idea, including celebrity chef Sanjeev Kapoor and Ravi Saxena, which gives us immense confidence. Finally, a vast majority of people eating out in India are sick and tired of eating heavy restaurant food, and crave for tasty and healthy home cooked food. On the other hand, there are millions of women in India who cook food at their homes for their families, day in day out, who get practically no recognition, and not to mention any income either. We wanted to leverage their talent pool, provide them with a platform to earn both an income and recognition, thus making our own contribution towards women empowerment. Going through your website it suggests that you have home-based professional chefs on your platform preparing a set of exotic dishes with different menu every week or so for customers to order thus eliminating the need for a kitchen. Is that right? So, what is the model exactly in terms of procuring, preparing and delivering process? Bala: Yes, but not entirely. We enlist the services of home ‘chefs’ who may be a homemaker, a working professional or anyone who can cook well and is looking to earn through it. They need not be professional chefs per se, although professional chefs are not excluded either. We already have about 150 such home chefs on board in Mumbai. The menu is different every day and every week, and the focus is on healthy and tasty dishes prepared by homemakers on a daily basis as well as their specialties like thepla, laddoo, modak, litti, bati, pickles and cakes. We also have exotic dishes spanning multiple cuisines like continental, Chinese, etc. It’s absolutely correct that our business model makes use of existing home kitchens, and thus eliminates the need for expensive brick and mortar infrastructure of restaurant kitchens. We get the freshly prepared food picked up and delivered through a network of delivery boys, and also do the payments settlement between the consumers and providers. You don’t have app yet for taking orders? Is that a calculated risk or just a bold move to be different from other players who are probably mobile-only or mobile first? When will you launch an app? If yes, when? Pabhakar: We have an Android mobile app on the Google Play Store named ‘ZuperMeal’, and we are getting about 60-70 orders through it daily. We plan to launch our iOS app in the next two months. 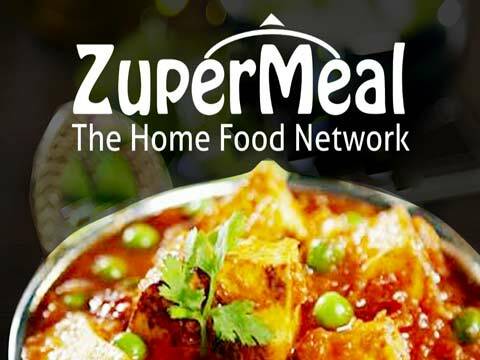 We would also start taking orders through our website (www.zupermeal.com) in another month or two, in order to cater to a larger population. The company is backed by your husband Ravi Saxena and Celebrity Chef Sanjeev Kapoor. How is it helping you gain ground in the food business as both of them are already a known name in the industry? Pallavi: I, along with Ravi, have had the opportunity to personally oversee restaurant and hospitality businesses being setup and successfully run in India and abroad in the forms of Sodexo, Gloria Jeans coffee, Yellow Chilli restaurant, and finally Wonderchef, a leading cookware brand in India. Ravi and Chef Kapoor bring an ocean of knowledge to the table, regarding food and hospitality, which makes our business model more sound and our task much easier. Moreover, Wonderchef has a vast network of 35,000 women across 800 towns and cities in the country selling products. We would leverage this vast pool of entrepreneurial women and make ZuperMeal a household name. What made you start a food-tech business leaving behind the white collar job that IIM would have offered you? Prabhakar: I did take up a white collar job after getting out of IIM. However, I did not get enough opportunity to harness my capabilities in those roles, and always wanted to start a technology enabled business of my own. When the three of us interacted through social forums and got together on this idea, I knew that this is what I wanted to do and then there was no looking back. Bala: I am a big-time foodie. Having stayed away from home for several years now, I have experienced the need for home cooked food and I knew there is a huge potential in the market out there. I felt it was high time to quit my corporate job and get onto the startup bandwagon. Where can we see your investment going? What is the number of cities you are targeting at? Pallavi: Funds would be utilized to upgrade our technology, expand the zuper-hub network, add talent to the team and create brand awareness. We aim to be in 500 towns across India by 2020 with 60000 home chefs on our platform. Which model offers better margin, faster scalability with lesser cost – online food ordering through restaurants or online chef marketplace like you? Prabhakar: The brick and mortar infrastructure, rising rentals and increasing service tax and value added taxes constitute over 20% of your food bill when you order from a restaurant. An online chef marketplace model like us does away with those capital costs. Our model goes even further in making use of existing home kitchens of individuals, and we also have a complete control over the pricing, thus guaranteeing lowest costs, easy scalability and best possible margins. There are similar start-ups in the segment. Any significant and substantial edge ZuperMeal has over them? Pallavi: Having watched food business grow in India very closely, I feel that I have a good understanding of the industry now. We are a dynamic team with the right mix of experience and passion, and we have amongst ourselves several years of professional experience in different fields, spanning FMCG, IT, Manufacturing, food and hospitality. Having relevant industry experts support our venture and mentor us on a daily basis gives us a significant and substantial edge over other similar start-ups in the segment. About Us: In this 21st century, people are way too busy.. This Cafe is Promoting Cycling at its Outlet..
A World of Top quality Education..
AI Transforming The Education System..
Star Vada Pav to open 500 outlets in next five yea..
How Social Are Restaurants Online.. Backbone Of A Health Cafe Startup..
Ways To Retain Franchisor-Franchisee Relation.. Surging Demand Of Private Healthcare..
Education- The Manifestation of Perfection..
Role of AI In Education Sector..
What to Watch out For in Education in 2018?.. Amalgamation of Health, Fitness and Nutrition..
Exemplifying Quality in Water Heating Segment..